At Santa Monica Tennis, classes for all ages and levels are available throughout the year. Our year-round scheduling of after school programs, camps and team competition reflects our philosophy that a tennis player develops his or her skills with consistent learning and practice over a consistent period of time. For children we offer private instruction, group instruction and camps during the Winter, Spring and Summer vacation breaks. We also have junior teams for the junior player who is starting to compete (Novice Team) to the seasoned competitor (Satellite & Open Teams). For the adult player, we offer adult group classes from Beginner, where you can learn basic strokes, to Advanced, where you can work on your strengths and expand your knowledge of the elements of the game. Private instruction is also available for adults. Private instruction is offered Monday through Saturday. Please call 310.358.3393 or email us to check if a specific time and day is available to schedule a lesson. Availability changes periodically due to coaching obligations at Santa Monica College and Junior Tennis Camps. Private lesson instruction rates are $120 per hour or $60 per half-hour. Buy a 10 lesson package for $1100 - save $100. Buy a 5 lesson package for $550 - save $50. These rates apply for private or semi-private (up to 2 students). For groups larger than 2 students there is a $8.00 fee for each addtional student. THE SANTA MONICA TENNIS JUNIOR TEAM! We have three teams for junior tennis players ranging from the Novice to Open levels. The "Novice" team is for tennis players who are just starting to compete. The "Satellite" team is for players who are ready to advance from the novice team. We are also have an "Open" team for those who have experience playing tournaments or compete on a school team. 5 matches will be every other Sunday afternoon and a 6th match will be held if a team makes the playoffs. The matches are up to 2 hours long in duration. There are Fall, Winter and Spring seasons. See the flier for the starting date of the upcoming season. Early registration is advised as the number of spaces on a team is limited. Matches are at country clubs and tennis facilities located primarily on the Westside. For more information and to sign up, download the Santa Monica Tennis JUNIOR TEAM Flyer! These classes will prepare players to compete in tournaments. These classes serve as practice opportunities for those who compete on the Santa Monica Junior Tennis Team. For more information about the Junior Team, please call Richard Goldenson at 310.358.3393 or email him at Richard@SantaMonicaTennis.com. Our year-round scheduling of afterschool programs and camps reflects our philosophy that a tennis player develops his or her skills with consistent learning and practice over a consistent period of time. Kids classes meet once a week for 8 weeks or longer Mondays, Tuesdays, Wednesdays and Fridays at Douglas Park and on Saturdays at Marine Park. Click here to download the Tournament Prep and Youth Class Flyer! You can also register for classes by visiting www.smgov.net/reserve, or check out the Santa Monica Recscape for more information and to download the registration form. In addition to our year-round afternoon youth tennis program, we also offer mini-camps during the Summer, Winter, and Spring Break periods. These camps are for youth tennis players of all levels, ages 4-17, and focus on learning proper strokes and movement that promote optimal physical fitness and fun! Campers should bring a racket, a new can of balls, a snack and water (refills available on site). Non-marking, rubber-soled shoes must be worn. Camps take place at Memorial Park. Click here to download the Camp Flyer! 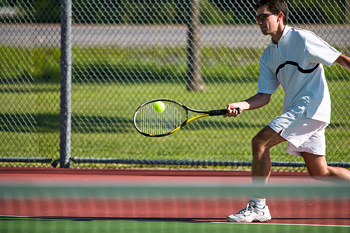 Santa Monica Tennis offers adult players' clinics in addition to regular instructional classes. The players clinic is a physically demanding court workout focusing on doubles strategy to prepare players for tournament match play. Clinics meet once a week for 8 weeks with varying class lengths. Classes and Clinics meet on Monday, Tuesday and Wednesday evenings at Douglas Park and at Marine Park on Saturday mornings. Click here to download the Adult Class Flyer! Richard Goldenson also teaches tennis classes at Santa Monica College. Anyone (18 years or older) can take a tennis class at Santa Monica College. To apply, visit: www.smc.edu and click on the "Apply" link at the top of the page. Click here to download a list of tennis classes being offered for Fall Semester at SMC! ALL RAINOUTS FOR TENNIS CLASSES WILL BE RESCHEDULED TO A LATER DATE. 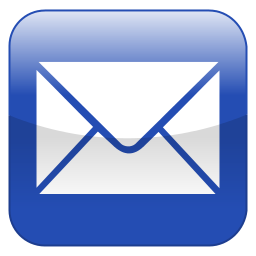 As soon as your instructor knows that a class is rained out or the court will not be dry in time, the voicemail greeting at (310) 358-3393 will indicate if class has been rained out. 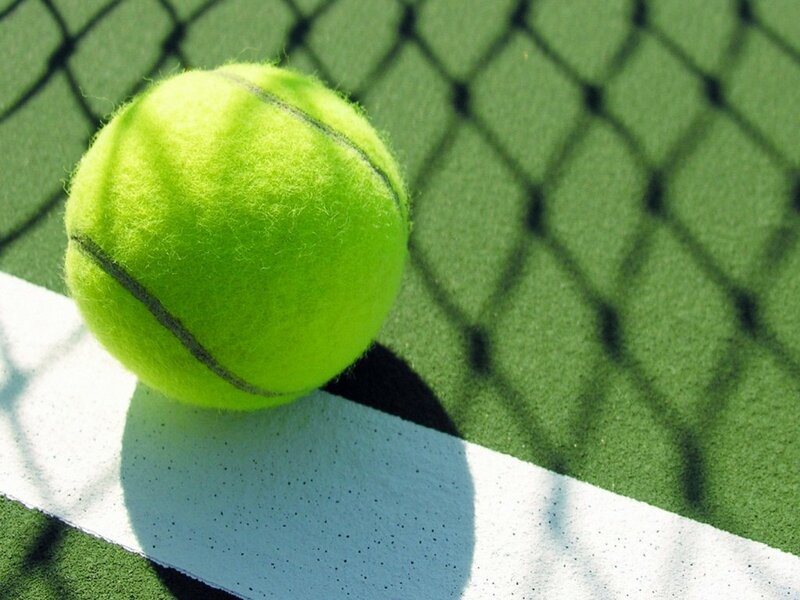 *Please note that it is not always possible for the instructor to leave advance notice as to the playing condition of a court as the instructor may be coming from a different location and cannot know a court's condition until arriving at the court. Any class that has been rescheduled due to rainouts, instructor illness, or instructor rescheduling will be made up at a later date. Sorry, but due to the nature and organizational needs of group classes, there are no makeups for classes missed by student as a result of scheduling conflicts, illness or any other reason.